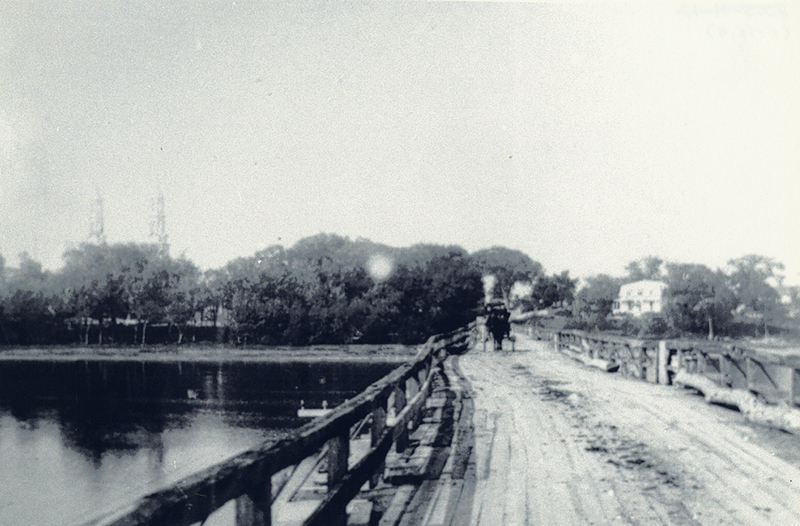 The construction and opening of the Porteous Bridge in 1832 marked a new era. The project of James Porteous, the bridge was an important asset. It connected the island with the North Shore and generated revenue in the form of tolls. 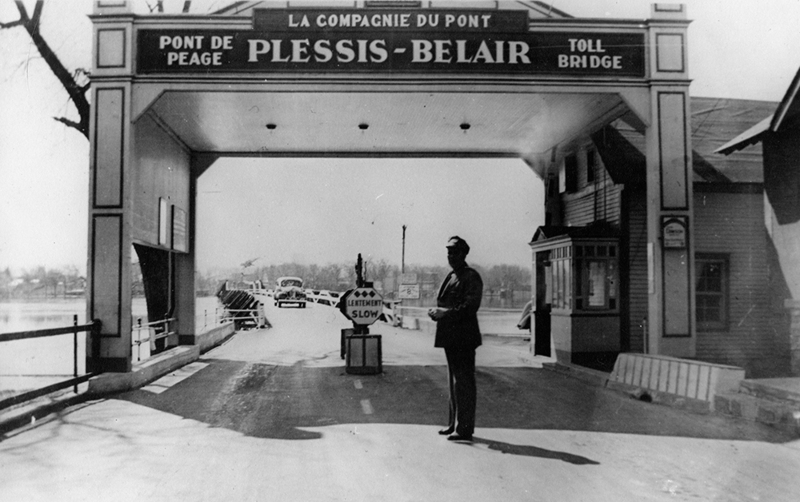 At the time, people had to pay a toll to take bridges, just as they did for ferries. That is how the individuals and families who owned the bridges made a living. For Porteous, who owned a distillery in Sainte-Thérèse, the bridge was essential to the success of his business. The structure, which we would call a wooden footbridge today, even played a small but important role in the Patriotes’ rebellion. The insurgents weakened it to slow down the British troops, but did not succeed. It was finally taken down in the early 1850s, as it was too expensive to renovate. Now, That’s What You Call Solid! A link to the Island of Montreal was established in 1836 when the Lachapelle Bridge was built on the site of an old ferry crossing. 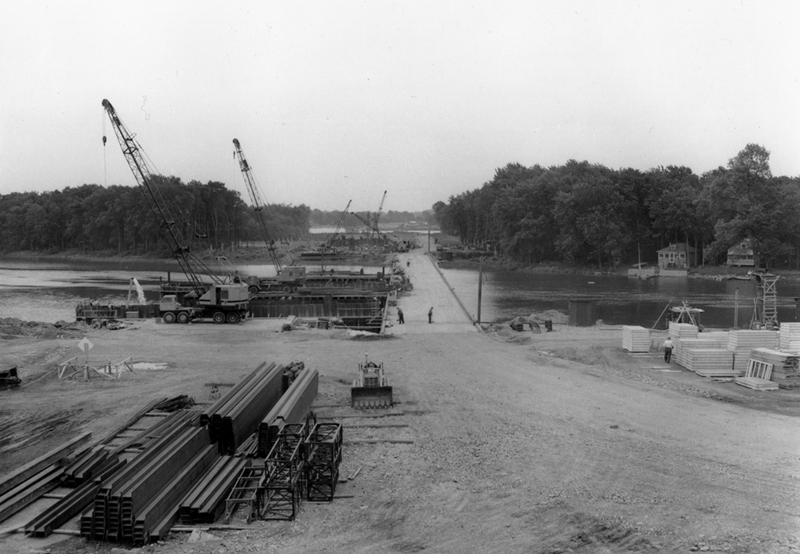 Bridges built over the years made access easier for new residents. The greatest population increase was seen between 1941 and 1966. Going from 21,631 to over 196,000 residents, Île Jésus became one of the most densely populated areas of the province. This modernization didn’t stop with the bridges, either. In 1958, the first highway in Quebec was opened: Highway 15! The new city of Laval had big ideas in the 1960s. Its population was increasing constantly. The suburbs were very attractive and considered to be the ideal place to raise a family. Laval politicians wanted the Montreal metro to be extended all the way to the city to improve access even more. The negotiations were not easy. The costs were exorbitant and political partisanship played a large role in the debates. It was not until April 28, 2007, that we finally gained three metro stations, nearly 50 years after the project started!